​is a spiral galaxy located near the bright star Zeta Centauri. 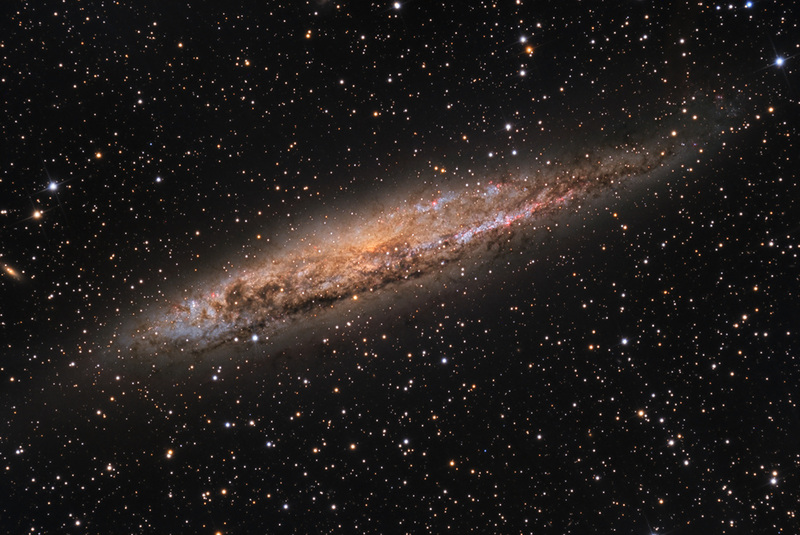 Discovered by James Dunlop in 1826, it is thought to be similar to the Milky Way Galaxy. X-ray observations however, show that the galaxy has an unusual, energetic Seyfert 2 nucleus that may house a huge black hole. NGC 4945 is one of the brightest galaxies of the Centaurus A/M83 Group- a large, nearby group of galaxies. The data was acquired in 2011 by SSRO.